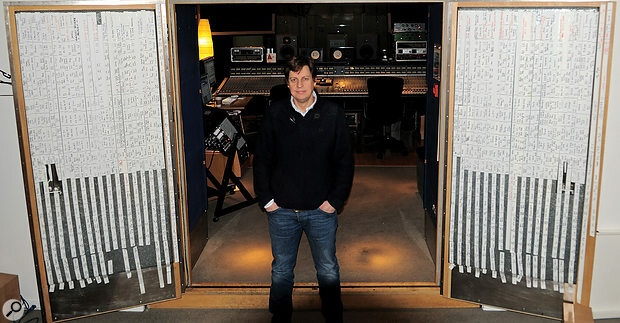 Cenzo Townshend in his mixing room at Metropolis. Note the scribble‑strip curtains! Flying the flag for a distinctively British sound, and scoring some huge hits in the process, Cenzo Townshend is one of the UK's hottest mixers. He gives us the inside track on Florence and the Machine's hit 'You've Got The Love'. Many of the American mixers featured in SOS's Inside Track series have explained that they pay little attention to rough mixes, preferring to start from a clean slate. Cenzo Townshend, one of the UK's leading mix engineers, takes the opposite approach. "I don't subscribe to the view of not wanting to hear the rough mix. I am here to represent what the band and the producer want from a project, not to completely start from scratch and do my own thing. It is not my record. If people want me to take a song in a different direction and want my input, great, but most of the time my job consists of giving the best possible rendition of the vision that they have. So I spend a lot of time listening to their rough mix, or the monitor mix that they like the best, to hear where they're at. 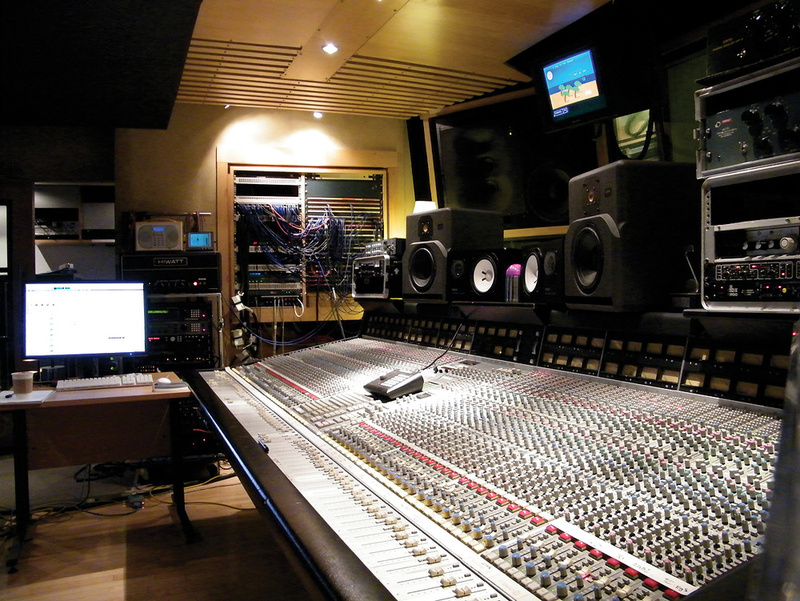 Townshend's mix room is based around an SSL G‑series console, with KRK 9000 and Yamaha NS10 monitors. Townshend must be getting a lot of things right, judging from the long string of hit records he has worked on. The list of artists he has helped includes Bloc Party, Interpol, Babyshambles, Editors, Jamie T, Graham Coxon, Friendly Fires, New Order, Klaxons, Kaiser Chiefs, Snow Patrol, U2, Franz Ferdinand and many more. Cenzo Townshend (his first name is an abbreviation of Vincenzo — he has a half‑Italian father — and the 'C' is pronounced 'cz' as in Czech Republic) began his career in the late '80s at Trident Studio in London, working his way up the usual studio greasy pole, starting as a tea boy and then becoming assistant engineer for legendary studio professionals such as Flood, Alan Moulder and Mark 'Spike' Stent. A small selection of Cenzo Townshend's vast array of outboard, including several items used on his mix of 'You've Got The Love'. From top: Manley Vari‑mu compressor, Empirical Labs Distressor compressors (x4) and Fatso tape emulator, Summit EQP 200B equaliser, SSL XLogic compressor, NTI EQ, Smart C2 compressor, Chandler/EMI TG1 limiter and EAR 660 compressor. One of Townshend's most high‑profile projects recently was Lungs, the debut album from Florence and the Machine, most of which he mixed. It was released in the middle of 2009 and is still a big seller, recently hitting the top spot in the UK charts for the first time. Townshend mixes included the last three singles, 'Rabbit Heart (Raise It Up)', 'Drumming Song' and the top 10 hit 'You've Got The Love'. The last is unusual for the band, in that it's a cover of a song by The Source (featuring Candi Staton), first released in 1986 and a UK hit in 1991. 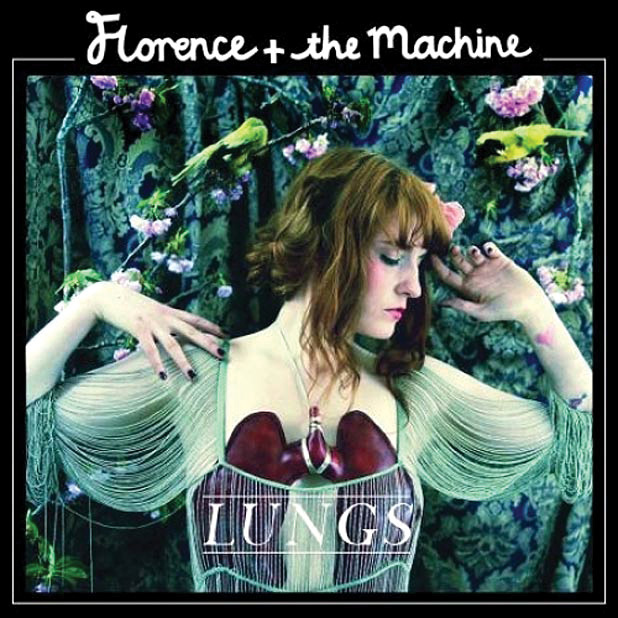 Florence and the Machine's cover was initially a 'B' side, but following widespread critical praise, Universal Island decided to re‑release it as a single in its own right. For this reason, Townshend ended up mixing the track twice. Townshend's upstairs preparation and post‑production room, featuring the SSL Duality, a Pro Tools HD3 system and several monitors, comes into its own the moment a project arrives for mixing. "The first thing that happens is that Neil Comber, my assistant engineer, will prepare the session for me, cleaning it up and laying it out in the way I like. Sometimes the session will come in as a Logic file, and Neil will have to build a Pro Tools Session from it, which can be quite laborious. We have to check every edit as we transfer things to Pro Tools. Sometimes there are 120 tracks to go through! During mixing later on, I'll have the Logic session on a separate computer somewhere for me to refer to and to see if they used any particular kinds of plug‑ins, panning, balances and so on. Even when we get a Pro Tools file, we often receive just a bunch of files without having any idea what they are. Tracks may just be called 'Audio 1', 'Audio 2' and so on, and we'll have to work out what's what. If sessions have been FTP'ed we also need to check that we have the right amount of tracks, and so on. Sometimes the sessions are so big that they won't play. Pro Tools won't play more than 96 tracks at 96kHz, and to compensate people may have been bouncing and so on, and then we have to deal with that. "Quite often, Neil will also add five or six snare-drum samples and three to four kick‑drum samples and kick-drum ambiences, and he'll time those to make sure they're accurate for each hit. We'll talk beforehand about what samples to add. Basically, they are there to beef up the existing kick and snare, if necessary. I don't replace kick and snare drums, and probably 50 percent of the time I'll decide that the kick and snare I have are so good that I don't need to add anything. The reason he adds them at this preparatory stage is that I don't have the time to start adding samples when mixing, because we only have one day to mix a song. So Neil will add them in case we need them. All in all, Neil usually has three hours of work to do before I can actually begin the mix. "'You've Got The Love' came in as a Pro Tools file with some of the effects already present. Her vocals were slightly distorted with a Fairchild plug‑in. It's not a very big Session by modern standards, though it has many rhythm tracks. The first thing I do when I get the Session from Neil is to spread it out over the board, and then I'll do my best to get the song as close as I can to the monitor or rough mix — within reason, I'm not going to obsess over it. I'll reference the band and/or producer's favourite monitor mix to get a balance, and while I'm doing that I'm getting to know all the parts that make up the song and getting a sense of what I'm trying to achieve with the song. In the case of 'You've Got The Love', the tricky aspect of the mix was the interplay between the guitars and the harp. 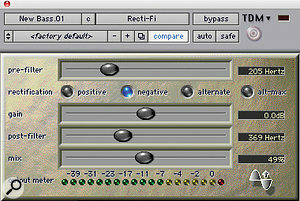 The harp plays a huge part, melodically and rhythmically, and to get the harp and guitars to bounce off each other in the right way needed quite a few plug-ins and limiters. "Having got to know the song in an hour or so, I start moving things around and begin to find the right compressors and EQs, for individual tracks and also for the stereo mix. I'll then get the vibe of the bass and the drums working, and may fire things through the live room here in Metropolis to record various ambiences for the kick, snare and toms. We have various speaker setups with ribbon mics to pick up the ambience. Among other things, I have an Auratone speaker on top of a snare drum, and I'll send the signal through the Auratone, which hits the drums, and this is picked up by two Coles ribbon mics. The room is also great for re‑amping guitar to get some guitar reverb, so I may spend a little time firing guitars, or the vocal, through the live room as well. Drums: Audio Ease Altiverb, Waves Audiotrack, Massey CT4, Tapehead & EQ, EMI TG1 (hardware) & EQ (plug‑in), Sound Toys Echoboy, Digirack Expander/Gate & EQ, Eventide H3000, desk EQ & compression, Empirical Labs Fatso, Bomb Factory Sansamp PSA1. 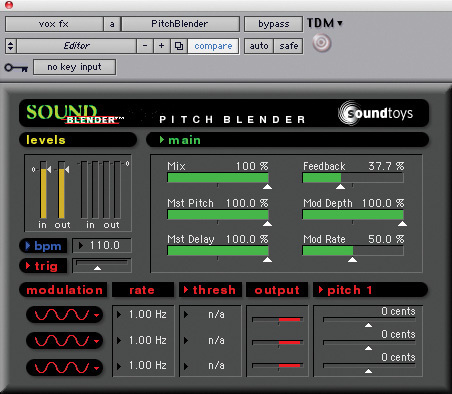 Sound Toys' Echoboy is one of Townshend's favourite plug‑ins, used here for a short delay on a snare track. The rest: "There's nothing on the hi‑hats, except desk compression. 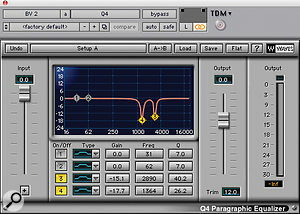 The toms have an EMI EQ plug‑in over the master fader. 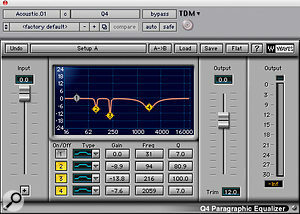 The overheads go through an Empirical Labs Fatso that's inserted on a channel on the desk, no plug‑ins. I have a Massey plug‑in compressor on the cymbals. After that is a room track that I duplicated, with one side being sent through a Sansamp PSA1 plug‑in and an Expander/Gate. 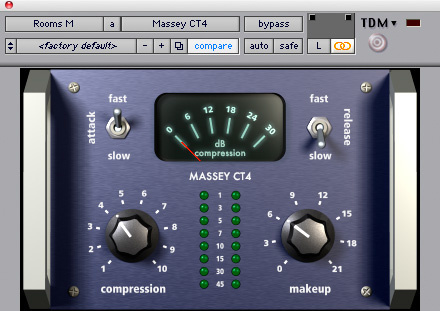 I probably panned these two room tracks hard left and right.” Massey's CT4 compressor was used on the cymbal track. Bass: Waves Q4, Digidesign Recti‑Fi & Lo‑Fi, re‑amping, EAR 660, Pultec EQ. 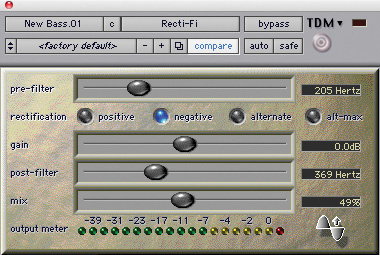 Digidesign's Recti‑Fi plug‑in helped to shape the bass sound. Guitars: Digidesign Lo‑Fi, Waves Q4, Neve 33609, Roland Dimension D, Manley Vari‑Mu, Empirical Labs Distressor, Eventide H3000. 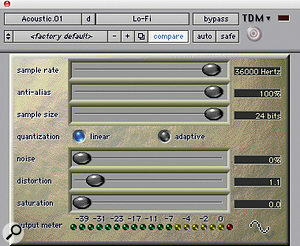 Townshend used Digidesign's Lo‑Fi to darken the acoustic guitar sound, and Waves' Q4 to notch out problem frequencies. "There's one acoustic guitar track, on which I had the Lo‑Fi to make it less shiny. I'm not too keen on overly sparkly acoustic guitars in a mix, I prefer a more Kinks‑like, old‑fashioned sound. There's also a Waves Q4 notching something out. 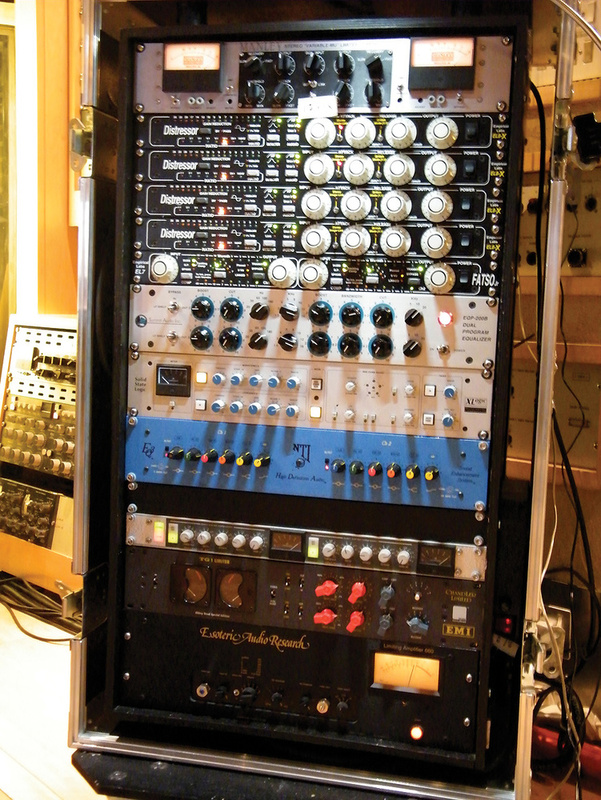 Outboard was the Neve 33609 and Dimension D chorus. Harp & piano: Waves Renaissance Axxe, Renaissance Bass, SSL G‑series compressor & Q4, Sound Toys Echoboy, Massey 2007, Neve 33609, Bricasti M7. "The harp had the Renaissance Axxe compressor, an Echoboy doing 16th‑note delays, and the 2007 Massey limiter. Outboard was the Neve 33609 and a Bricasti M7 on a plate setting. The Bricasti is £2000 worth of reverb, and while people may think that's mad, it does a few things incredibly well. The processing power in one of these boxes is 10 times that of a Mac and the calculations it can make are frightening. It does sound like an analogue reverb and it's one of the best reverb boxes you can get. Vocals: Massenburg EQ, Waves C4, Q4 & De‑esser, Bomb Factory Fairchild 660, Teletronix LA2A, Pye compressor, Dbx 902, Pultec EQ, Bricasti M7, Ibanez delay, Empirical Labs Distressor, Sound Toys Pitchblender & Echoboy, Massey Tapehead. 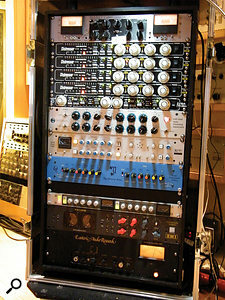 Among the many plug‑ins used on Florence Welch's vocals were Massey's Tapehead tape simulator and Waves' Q4 equaliser. 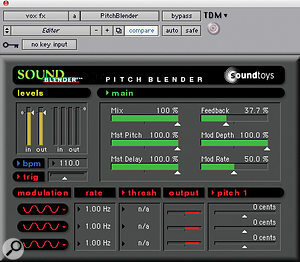 Sound Toys' Pitchblender was used as a vocal effect. "The main lead vocal track is called 'LV Comp', with a track with some chorus doubling just below it. I treated both tracks the same way. 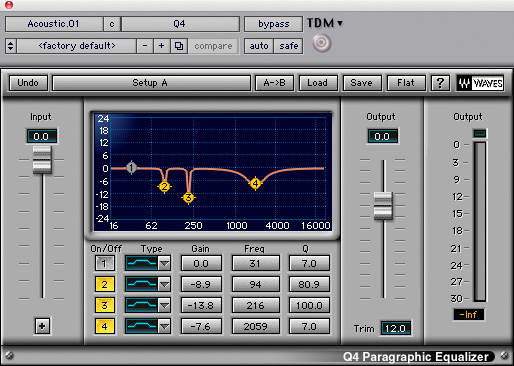 I have a Massenburg Designworks EQ plug‑in on them, taking out 6dB at 1.5k and boosting at 5k. Then there's a Waves C4 multi‑band compressor, and a Fairchild plug‑in on the master fader [of the vocal group] which adds a bit of distortion, to make it sound more crunchy. On the desk I will have used an LA2A or a Pye compressor, a 902 de‑esser, and Pultec EQ. I added some reverb with the Bricasti M7, on the same plate setting as the harp. I also added various analogue delays using my Ibanez rackmounted guitar delay. 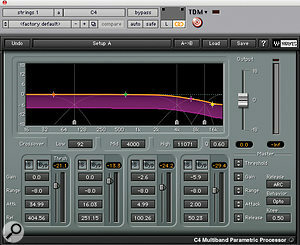 In addition, I will have set up some parallel compression channels for the vocals with my Distressors. Strings: Waves C4, NTI EQ, Bricasti M7, TC Electronic D•Two. Waves' C4 multi‑band compressor was used to darken the string-machine sound. In last month's Inside Track feature, Cenzo Townshend's former mentor 'Spike' Stent noted differences between American and British mixes, in his opinion mostly to do with the way the low end is handled. Townshend picks up on other contrasts: "I think British music is edgier and more natural. I have nothing against American music, some of it sounds amazing, but a lot of it does get over‑polished and sanitised. I think English music as a whole has more aggression in the mid‑range, especially in the guitars. The guitars tend to be softer and more perfect and polished in American music. With a few exceptions, American rock guitars tend to sound very similar. Their bass sounds are fuller and rounder and cleaner, whereas I like bass sounds to be quite dirty; that gives more attitude, depending on the track, of course. The vocal overdubs and mix for 'You've Got The Love' took place in Cenzo Townshend's room at Metropolis Studio B, which features a 72‑channel 4000 G‑series SSL. It is apparently, one of the few piece of kit there that are not the mixer's. According to Townshend's web site, he's known for "his love of vintage recording equipment, and his extensive knowledge and collection of classic valve amps, effects and pedals”. He's also got several Pro Tools H3 rigs loaded to the brim with plug‑ins. Monitoring is provided by KRK 9000B and Yamaha NS10 nearfields with Bryston amplifiers, but also by a Pure portable digital radio. "I like the SSL for many reasons. 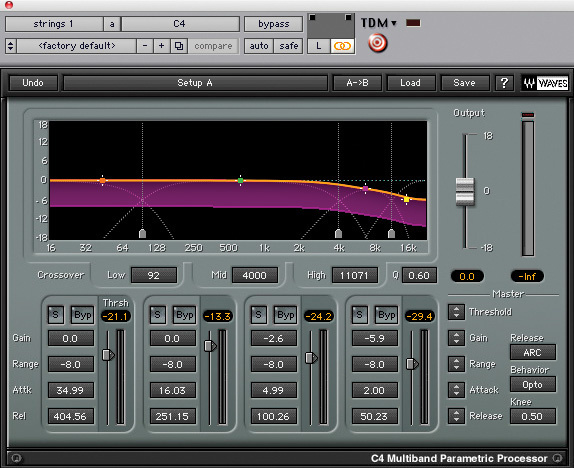 I like the general sound of it, I like the EQ, and I like the sound it creates when it busses everything together. I also have an SSL Duality in the prep and post‑production room upstairs, which is fantastic — a very interesting step forward from the very large consoles to something more manageable. I'm in discussions with SSL on how to improve that desk. For now I'm still using the G‑series, which is my favourite SSL, and which obviously also functions as an interface for all my outboard. Concerning monitoring, I'm without a doubt strongly influenced in my choice by Spike. I used KRK E8s for a while, but the reliability wasn't good, and since I've put the 9000s up again, there's no going back. I tend to mix very quietly on smaller speakers, and I use my Pure Evoke 3 portable digital radio a lot, which works very well for editing and balancing. I've also recently been listening to Focal Twins, which are very good. I can easily switch between 15 different speakers. I couldn't just mix on NS10s or KRK 9000s; it would be too tiring and you get used to them too much. "With regard to outboard, I began my career in the late '80s, and while I could have been totally into digital, my first engineering experiences were on old vintage Neve desks and things, and I also had great experiences with guitar pedals, which I love to this day. I still find analogue more pleasing to the ear. I use digital for a number of things, but I just love analogue. With regard to plug‑ins versus outboard, I don't think there's a contest. They are two different things doing different jobs. It's fantastic that I have the opportunity to use each for what it's good at. 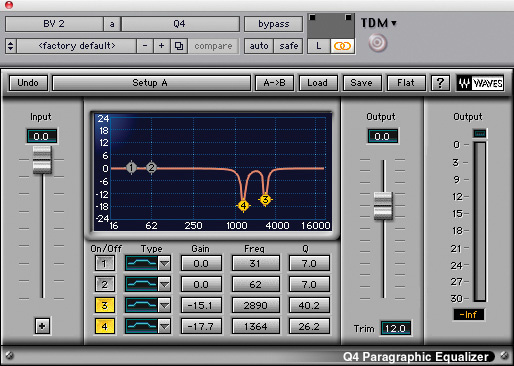 There are some Waves EQs that are amazing, and that can be far more surgical than analogue equalisers for removing frequencies that are getting in the way in a mix. For instance, when mixing Snow Patrol, I may have 12 of the same guitars that all have the same ringing frequencies, and I'd never be able to get rid of them using analogue EQs. "On the hardware side, the EAR 660 is a fantastic compressor, which is particularly great on bass. I also like the Pultec and the Summit [EQ]s a lot, and the NTI has an upper range that creates wonderfully smooth air. I like using parallel compression, for which I use my [Empirical Labs] Distressors, I have seven of them! I also like the old Neve 33609 stereo compressor, and the SSL and [Smart] C2 compressors, which I prefer to use on acoustic guitars. The other thing that outboard is good for is to create more of an out‑of‑the‑box sound. Many projects are recorded at home in people's laptops, and they probably only have two or three good mics and one mic pre, and it all goes into the same box. So when you get 120 tracks that have been recorded like that, it's nice to give the different tracks different footprints by putting them through different transformers and valves. It adds a bit more depth to the sound.